This year’s Wales Rally GB will have a vibrant new home in the heart of Llandudno on the coast of north Wales from 3-6 October. With enthusiastic support from Conwy County Borough Council, the popular resort town has been a regular feature in recent years by hosting official Ceremonial Starts and Finishes. Moreover, its seaside streets made history last October when, for the very first time in decades on the British mainland, fans witnessed the spectacle of World Championship motor sport action on closed public roads. 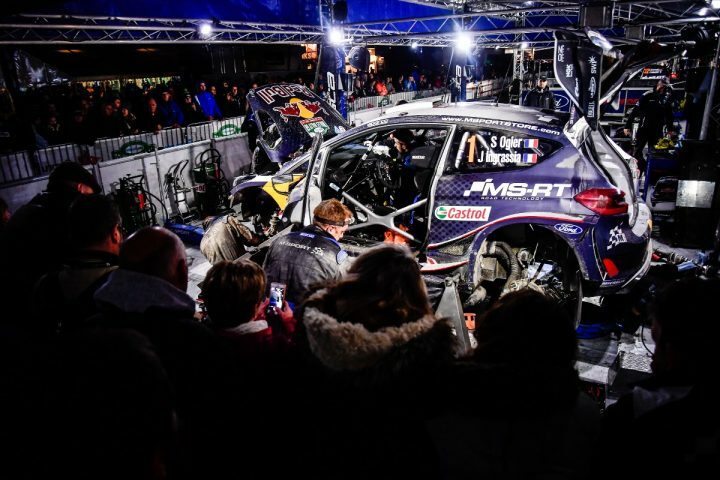 New for 2019, all the teams and manufacturers contesting Britain’s high-profile round of the FIA World Rally Championship will be based in Llandudno for the very first time, alongside the international event’s busy headquarters based at Venue Cymru. For the past six years, Wales Rally GB has been located next to the Toyota Engine Plant in Deeside, following the event’s revitalising switch to a new base in north Wales in 2013. The move to Llandudno will not only allow a new town centre audience to experience the excitement of the busy pits and paddock complex, but will also generate significant economic benefits for the town’s many hotels, shops and other businesses. Furthermore the town’s streets and famous promenade will be bustling with entertainment while an interactive and engaging Big Bang event will inspire the next generation of local students studying science, technology, engineering and mathematics subjects. “Motorsport UK is delighted to be bringing all the atmosphere and prestige of a World Rally Championship Service Park to Llandudno, and to create an interactive fan zone in the town centre; but at the same time we must say a massive ‘thank you’ to all those at Toyota – as well as our local partners in Deeside topped by Flintshire County Council – for playing such a major role in helping us to re-establish the UK’s round as one of the true classics on the WRC calendar,” said Hugh Chambers, Chief Executive of Motorsport UK, organiser and promoter of Wales Rally GB. “As our official ‘Host County’ partner, Conwy County Borough Council has also been one of the driving forces behind the event’s resurgence and we are now relishing the opportunity of furthering that relationship in the autumn. As a long-time supporter of Wales Rally GB, Conwy County Borough Council is equally enthusiastic to see the full WRC show coming to Llandudno. “We’re thrilled to once again be Host County for this prestigious event, but this year is extra special with having the World Championship based in Llandudno,” said Councillor Louise Emery, Conwy County Borough Council’s Cabinet Member for Economic Development. Deputy Minister for Culture, Sport and Tourism, Lord Elis-Thomas said: “Wales Rally GB is one of our flagship events which is well-established in north Wales and a vital part of an international world-series event. I’m delighted that the organisers are yet again looking at new ways of refreshing and improving the experience for visitors.